Aluminium on Perlon. All sizes. Ball end. 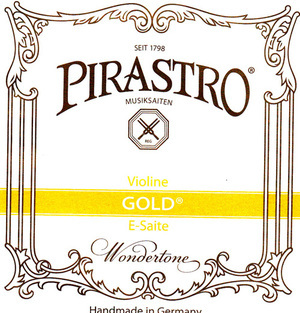 all excellent apart from plain E.
Pros: I love dominant strings! Have been using them for years very reliable, hardwaring and especially stable. Cons: Don't like plain E string. Other: Do not like plain E string. Only use aluminium wound(an excellent string). 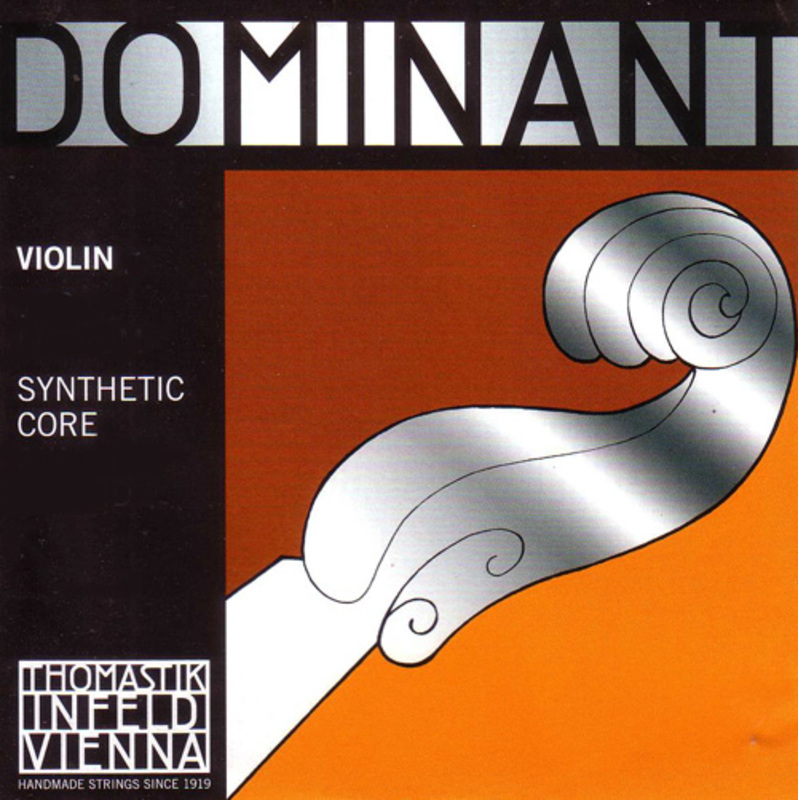 Pros: I have used Dominant Strings for years, mainly for Orchestral playing, but also for Quartets and solos. I have always found them to give a good tone, plus they are long-lasting and stay at proper tuning after only a short time. I have never experienced what some reviewers describe as early unwinding of Dominant Strings. Indeed, I have sometimes changed strings just to ensure a fresh, bright sound in case the strings have become physically flatened by long use. Long lasting strings with good tonal response. Pros: Good quality and reliable strings with good response. Suitable for most instruments. This probably explains why Thomastik Dominant strings are used by professionals and amateurs all over the world. 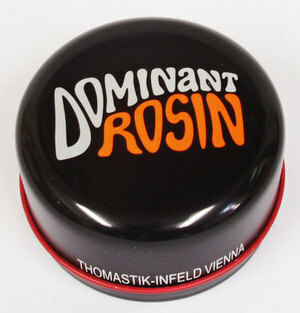 Pros: Dominant strings are still excellent and the Stringzone is prompt and good value. Annoyingly I bought a full set of strings from my local music shop then found they were £20 cheaper on stringzone- I won't be making that mistake again! Pros: It came in good condition and was no trouble to fix. It hasn't lost too much pitch since I put it on. Cons: Nothing so far. Rather too soon to say. Other: As I said in a separate email I think asking for a review of a string is a waste of time. The string I buy is not usually fitted until the next one breaks. This was an exception. 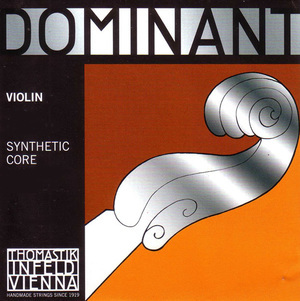 Pros: I like playing with Dominant strings as they have a rich tone to them. Other: It arrived swiftly after being ordered. Thank you. Pros: The lower tension gives a softer tone on my strident french violin. Warm, rich and dynamic sound. Pros: Warm, rich and dynamic sound. Pros: Doesn't break as quickly as other make/'models' do. Cons: The short length of time of the outer shields lasting.